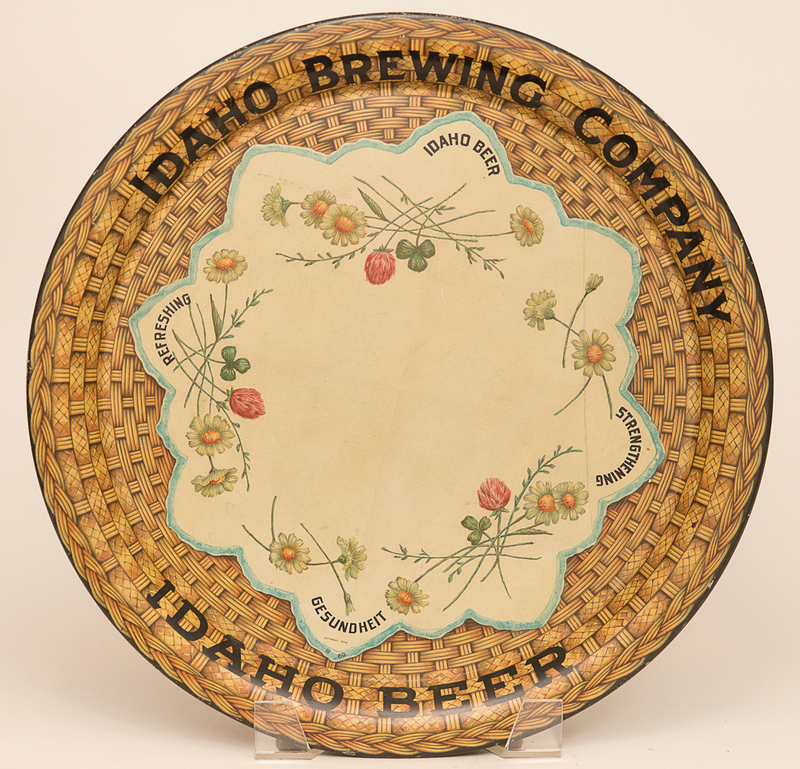 Pre-pro tin litho advertising tray for the Idaho Brewing Company of Boise, ID. Tray has nice basket weave background. Tray is in excellent condition with no obvious scratches or damage and nice gloss.